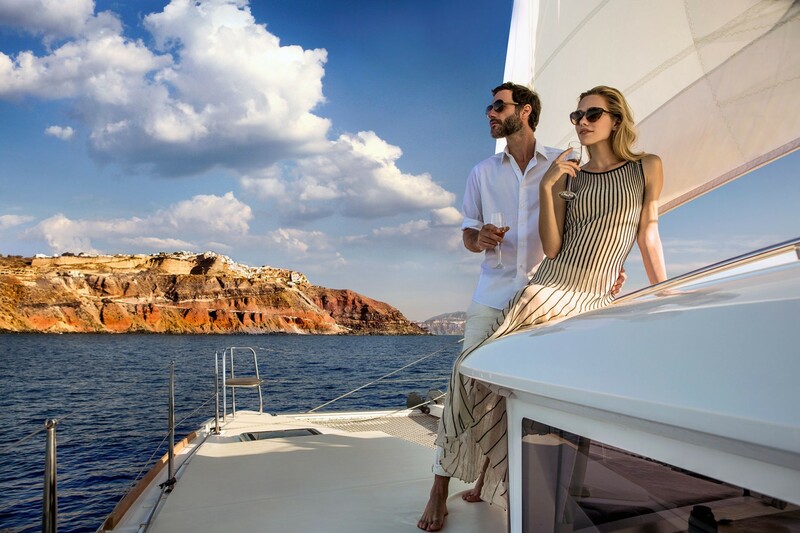 Incredible sunset Oia catamaran cruise with BBQ lunch, refreshments and visits to the hot springs, the red beach, the Light house, the Indian Rock, and of course the famouse sunset! 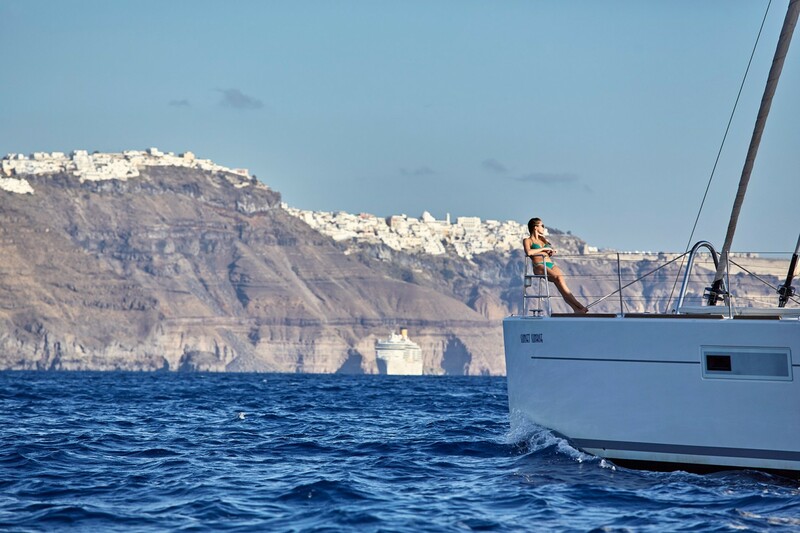 The sunset cruise starts from the Ammoudi port of Ia at 14:30-15:00 and the catamaran sails very close to the caldera cliffs so that you can explore the "Caldera" and shoot some great photos. 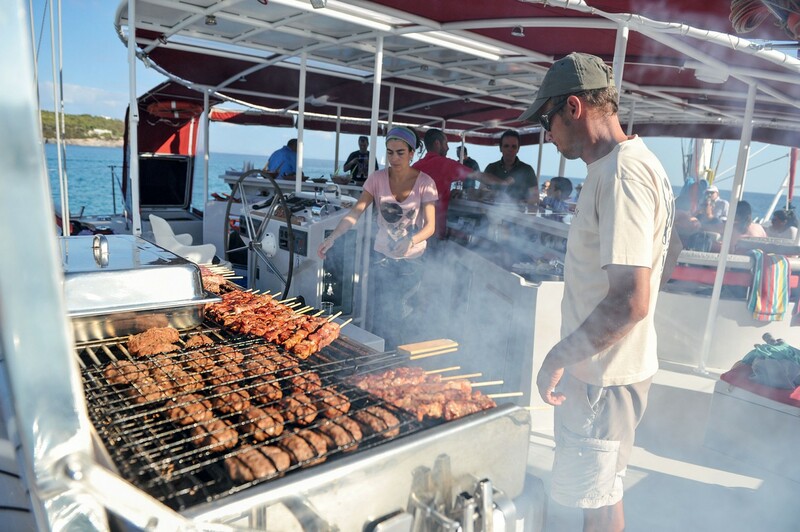 The crew members will offer you refreshments on board as the catamaran sails very close to the Volcano, heading to the first stop at the Hot Springs. 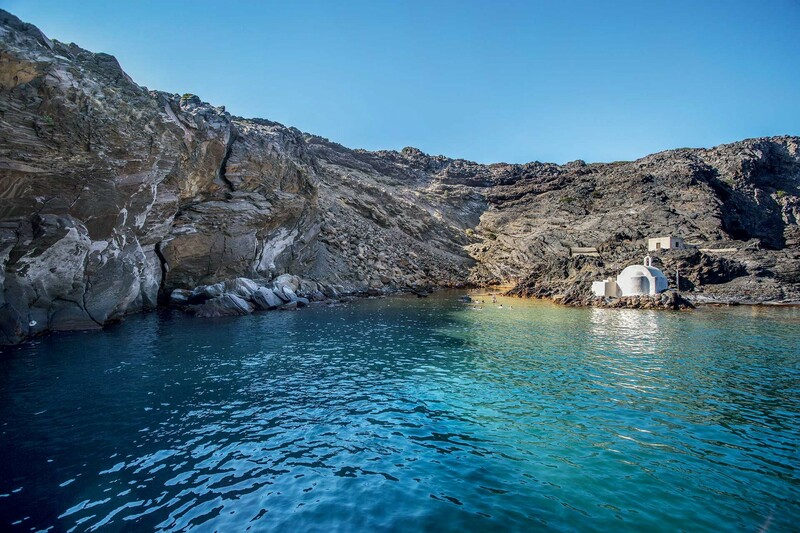 There, you can have a mud bath and you will feel the activity of the volcano of Santorini and its thermal characteristics. After half an hour the catamaran will sail to the south part of the Island. 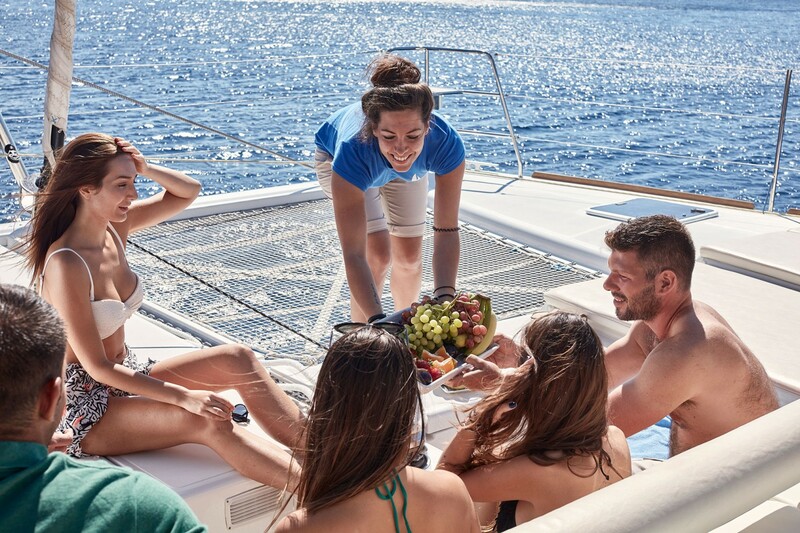 Sailing close to the Akrotiri, Light House and Indian Rock the catamaran will stop at the White Beach. At this unique beach we will stop for an hour for swimming and snorkeling. 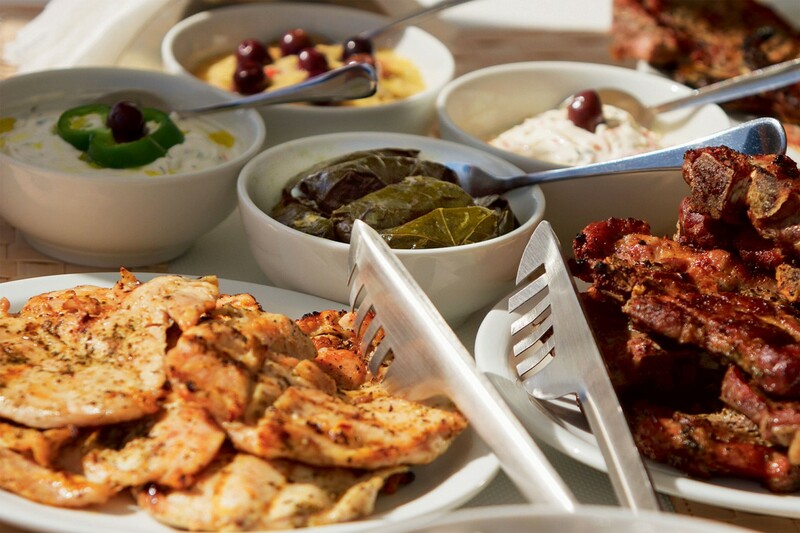 The crew after offering you snorkeling equipment and towels will prepare a delicious barbeque meal with Greek Traditional products, Santorinian wine, fruits and soft drinks. The Red beach is the last stop before ending the cruise. The Red Beach has been formed from the hot Lava of the volcano and its red color is vivid and unparalleled. 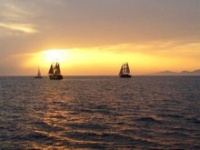 Then we will sail to Oia where you will watch the incredible Santorinian sunset!